The third part of Organic Outreach for Churches by Kevin Harney is called The Hands of Your Congregation. It is only two chapters long. He begins the section with the “The Two-Degree Rule” or The Power of Vectoring. He points out that most churches, if left to themselves, will focus on themselves. The resources of time, money, gifts and abilities will be invested in those who are already part of the congregation. People want their needs met. I don’t blame them. The problem is that people often confuse wants with needs. American Christians struggle with consumerism. They shop for churches that meet their needs rather than being concerned with faithfulness to the Scriptures in teaching (orthodoxy) and practice (orthopraxy) as well as love. Since we are still sinners, we will struggle with selfishness. The Two-Degree Rule comes into play in light of this. Fellow RTS grad Ken Priddy advocated for something similar in his Turn Around Churches material for revitalization. For him it was making sure the gospel is a part of everything you do. If your church has a marriage seminar, you invite non-Christians. You don’t have to dumb it down, but you need to acknowledge that not everyone present may believe. They now have an opportunity to engage and be engaged by Christianity. This means that not only should each ministry have an outward focus, but all activities should have an outward focus. You aren’t necessarily adding activities, but you are seeing them as part of the outreach strategy. But sometimes this means taking our activities outside of our space, our facilities. Harney gives an example of a church expanding its meals ministry to people outside the church. They began to serve the people they knew who had health issues, or new babies etc. They brought meals to unchurched people as signs of the love of Christ for sinners. He encourages churches to think bigger, promote more widely and take action. This can be challenging for churches of 100 or under people. But it is worth considering or you will stay stuck. The second chapter is the Value of Innovation. I was not as wild about this chapter. It seemed to prize (exalt?) innovation. I guess the question is, what is innovation? If it is a new way to fulfill a biblical mandate, I am good with it. We can get set in our ways. But sometimes we can also make an idol of being on the cutting edge and feel the need to “fit in” or keep up with culture. This is a hard balance. We are to be different than the culture around us. I’m of the opinion that our worship services shouldn’t be confused with rock concerts. That’s actually not innovation but mimicry. One of his examples was interrupting the worship service for time to mingle and grab coffee, and extended form of “Greet the family” or “pass the peace”. This church loved it. I’ve spoken to others who visited churches that did this and hated it. This innovation helped them grow numerically, but does that alone make it a good innovation? The standard isn’t “does it work?” which is pragmatism. We have a responsibility to measure things by the Scriptures, particularly if we embrace the Regulative Principle of Worship. Harney mentions biblical norms earlier in the book, but it would be great if he brought that back to have appropriate boundaries for innovation. Bottom line is that this was another mixed section. There were some helpful thoughts and some that needed clarification and qualification at the bare minimum. Around the turn of the millennium I read Daniel Goleman’s book Emotional Intelligence. This is a subject I’ve wanted to think about more, but never seem to get to. The kids’ movie, Inside Out, is an application of the theory to a young girl’s life as she deals with loss after moving across country for her father’s new job. I’ve pondered this as a parent and a pastor who sees many struggle with a lack of emotional intelligence (EQ). Aubrey Malphurs, a seminary professor who has written a number of books on church planting and leadership, has released a new book entitled Developing Emotionally Mature Leaders. I thought this would potentially be a good resource as I hope to develop greater EQ among our congregation’s leaders. 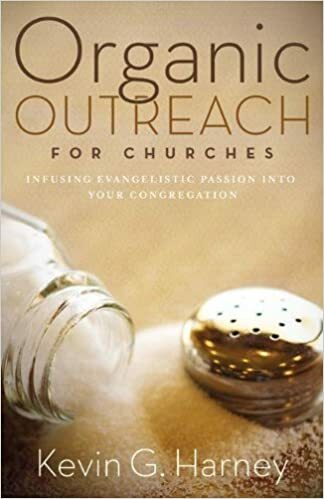 Malphurs wrote this book because he saw many gifted students leave for the mission field or church planting to return beaten because the team “couldn’t get along.” He believes that greater EQ would help these team members address the conflicts which arise in a much healthier way so those missions could continue and thrive. Simply stated, the purpose of his book is addressed from page 99 onward. That is about 42 pages addressing his model for development followed by about 60 pages of appendices with various exercises. Part 1 is three short (!) chapters (34 pages total, with lots of white space and questions at the end of each chapter) which introduce EQ. In some ways it reads like a syllabus. It conveys a brief history of EQ and conveys the importance of EQ, particularly among leaders. IQ deals with how you learn. EQ is about how you relate. Successful leaders are able to learn and relate well. There isn’t much to say about this section except that you get the feeling that this isn’t necessarily a unified theory. There are some disagreements in the field which become more apparent in Part 2. Part 2 helps people to understand EQ. He defines it, defines emotions, lays out the primary core emotions and then puts forth a biblical theology of emotions. This is the heart of the book which prepares you for his own model for assessment and development. Here we see the differences the theories have with regard to core emotions. They are kind of slippery, those emotions. Malphurs brings us into the nature vs. nurture debate. Some theorists lean toward nature (so if you don’t have it, forget about having it) and others toward nurture. He fails to conclusively address this. He says it is perhaps both but doesn’t explain why. I found this to be a frequent problem with the book: he makes assertions but doesn’t provide any sufficient rationale for those assertions. He also mentions that emotions shouldn’t be confused with temperament, moods, IQ, and feelings. He covers this in a page. I’m all for succinct but this is too brief since this seems to confuse people. They need some hooks to hang the information. He then moves on to the next quagmire. As a soft science, psychology can be more difficult to express and quantify. I have a degree in counseling, I get it. But in theology, another “soft science” if you will, we make distinctions. It is all about distinctions. Malphurs appears to consistently contradict himself, perhaps because he’s not making distinctions. Emotions are different from feelings (chapter 4) but … we see here that they are connected somehow since they are the urge to express a feeling. Quagmire. He doesn’t really differentiate beyond feelings are physiological as opposed to mental though he brings that into his definition. He is less than clear on this, as well as the difference between an attribute or an emotion. Attributes always exist, while emotions (the root of feelings?) change. He thinks love is a core emotion (an unplanned urge), but also calls it an attribute. Later he writes “Anger is an attribute of God.” and “Anger is an attribute of Christ.” So, God is characterized by anger? I really struggled with this section since he appears to confuse/conflate categories. In his chapters on a biblical theology of emotions he repeatedly does this and never really grapples with divine simplicity and impassability as well as possible anthropomorphisms. He simply calls those who minimize emotions Christian stoics. There is more theology that needed to be done here, but once again he simply makes assertions without proving his point. Some of his polarities seem off as well. “Hope is the opposite of fear.” I tend to see hope as the opposite of despair which is quite different from fear. Malphurs seems to create more confusion than clarity on these issues. When he got to his model I noticed another glaring weakness: he neither addresses nor even mentions Ken Sande’s work on relational wisdom. I became aware of Sande’s work in this area a few years ago, so surely this newly published work should mention it particularly since he mentions a variety of secular theorists and tools. Malphur’s model has 4 skills, while Sande’s has 6. The difference? Sande brings in God explicitly so that we evaluate our emotions and how we manage them in light of how God responds to such circumstances. Malphur’s model has some use, but since the book intends to transform ministry, this missing piece would seem essential. It also provides a grounding factor to escape subjectivity regarding our emotions. How do I know if they are helpful/unhelpful, appropriate/inappropriate unless there is some standard outside of myself? God is the one who speaks to that and we should be skilled in discerning that too. I wanted great things from this book. Perhaps my expectations were too high. But there were some serious flaws in this book. 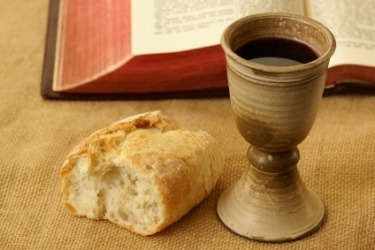 At times there are conflicting statements (at least on the surface, but he doesn’t clarify), there are many unproven assertions, some straw man arguments and serious theological gaps. He seemed bent on getting to his model and cut to the chase. I understand that leaders tend to avoid long books, but to adequately develop a skill you need to adequately understand some theory. Theory got the short end of the stick here, making the skills questionable as well.